Oct 23, 2014 @ 2.45AM, Taipei – Before I went to bed last night, as always I wished Shirdi Sai Baba a good night. However, since I knew it was Diwali I asked him to appear in my dream. Whenever I’ve asked Shirdi Sai Baba to appear in my dream he has always appeared and answered any questions I may have had, blesses me with Udi (sacred ashes),or we simply have some fun together (dancing, visions, etc.). In my dream this morning, I was in a very beautiful house. On some level I knew that it was my house as I was familiar with it, but on another level I could not remember any of my previous homes that were designed that way. Shirdi Sai Baba was walking around the house with me and I was so happy to have him there. As I joined my hands and kneeled down, my eyes were flowing with tears of joy. Then I started to float up towards the ceiling. As I reached the ceiling, I thought to myself “Wow, this is really cool, I wonder what will happen when I pass through the ceiling, and what exactly is happening here?” I then heard a voice saying “Kali Mata is here”. This was also a great blessing, but I became a little hesitant and self-conscious after hearing that voice. Due to my hesitance, I stopped floating up and woke up from the dream. 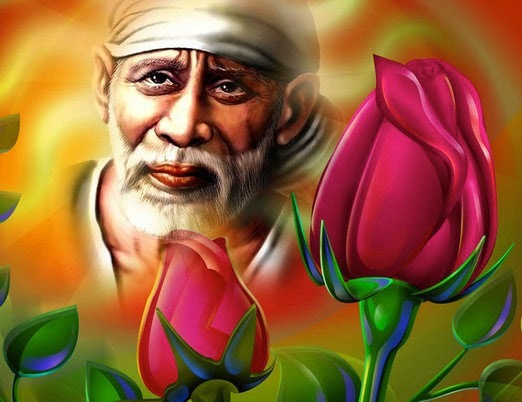 As I opened my eyes, I saw Shirdi Sai Baba’s face in front of me. His hand was placed on his chin as if he was thinking. I continued to look at him with my eyes open for about 4 seconds until his face slowly disappeared. I then noticed that my body was sweating, my heart was racing, and I was breathing very heavily as if I had just run a marathon. In a future article, I will share the significance of these physical symptoms that occur after a Divine dream. I have had dream experiences of Shirdi Sai Baba, Satya Sai Baba, Krishna, Guru Nanak, Shiva, etc. However, this has been the first time that there was a presence of Kali Mata. I would like to share with everyone that there is tremendous power in prayer, especially before going to sleep. I have had countless miracles happen and questions answered especially by communicating with Shirdi Sai Baba before going to bed. In future articles, I will share some of these experiences. Shirdi Sai Baba always says, “I give my devotees whatever they want, but I wait for them to ask me what I want to give them”. This is why I always ask him to offer me experiences that He wants to give me. In this way, I am always surprised and fascinated by experiencing him in my waking or dream state. This was a wonderful Diwali blessing that I would like to share with everyone. 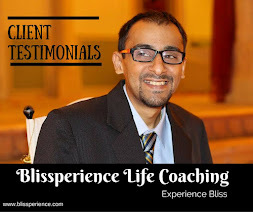 • Click here to experience a powerful Bliss with Sai Life Coaching session. Most popular themes are: mental clarity, thought management, mindfulness, meditation, time management, and spirituality. Did you like what you've read? Then SUBSCRIBE to our mailing list, it's FREE!